Mr. Everest is simply “one of the greatest Himalayan guides around.” Pete has summited Mount Everest seven times and has participated in 14 Everest expeditions over the course of two decades. He has an outstanding international reputation as a leader and guide. Peter’s climbing expertise may even be overshadowed by his ability to guide and successfully assist others in reaching summits. Having lived in Nepal for a number of years he is an excellent resource on Nepalese culture and is fluent in Nepali language. Accomplished photographer and cinematographer, Peter has completed a number of film projects, most recently with PBS and National Geographic Television and Film. His recent book, “Tales from the Top of the World: Climbing Mount Everest with Pete Athans” has been enthusiastically reviewed by teachers and their students around the world. Peter has been climbing for forty years and is certainly one of the world’s more experienced guides. Moreover, Peter was awarded the American Alpine Club’s David J. Sowles Award (with partner Todd Burleson) for unparalleled bravery and selflessness in a rescue situation, based upon their rescue efforts on Mt. Everest in 1996. 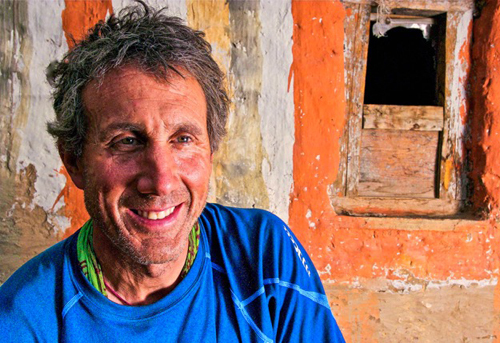 Pete has led Alpine Ascents’ climbs to Everest, Denali, Kilimanjaro, Carstensz Pyramid and Mt. Vinson and frequently leads our climbs on Mt. Rainier.